This post is dedicated to the memory of Leelah Alcorn. She didn’t have the unconditional love she so deserved and tragically took her own life. It’s been a few days past the one year anniversary of her death. Without her Ally Moms wouldn’t exist; one year ago Ally Moms was given life. This post may seen a bit redundant to some but it’s an important message. It was published originally in ChicagoNow.com; I am sharing it here for those who missed it. 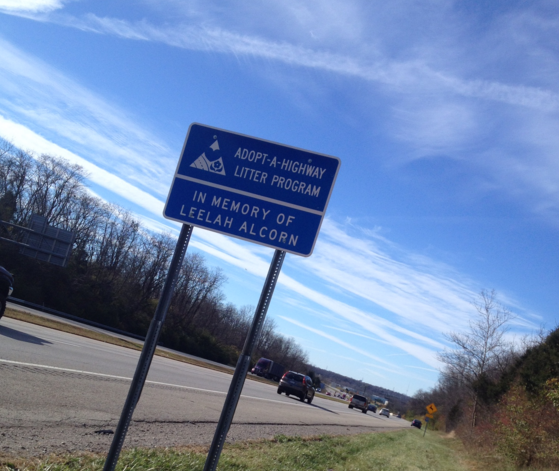 To Leelah – your life meant more than something – it meant everything. I was feeling a tinge guilty recently. As the parent of a teen who came out as transgender nearly three years ago, I’ve spent a large percentage of that time finding resources, supporting my son, building community and advocating for trans* youth. What I haven’t done is mourn the “loss” of my daughter. In fact, I rarely think about Olivia. It’s not that we’ve obliterated her existence. Her pictures still grace our walls and when telling stories that reference a time “pre-transition,” I usually refer to our youngest as Olivia, not Hunter. It’s quite odd, really. Life with Olivia was often stressful. From birth we had struggles. There were night terrors, food allergies, difficult behavior diagnosed as oppositional defiant disorder, reading issues, organizational challenges, academic hurdles and more. She definitely was not a “go with the flow” kind of child. The childhood outbursts morphed into angry, sullen pre-pubescent behavior that was more the norm than an occasional bad day. So, when Olivia told me she was transgender and identified as a boy, I was not shocked. Though I didn’t know what that meant, I was quick to articulate my support for Hunter and told him that we would be there no matter what. By the way, this confession came at age 14; seven years earlier, while sitting in the bath tub, Olivia announced, with conviction, that she was a boy. When I asked if she wanted to be a boy, I was met with this, “No. But, I am a boy.” In hindsight, this child of mine was telling me that it wasn’t about desire but fact. It took 7 years for the subject to resurface. Our show of acceptance was just the beginning. I had no idea that turmoil and dark days were upon us. This was a marathon not a sprint. For all you parents out there who are just coming to terms with your child’s coming out, brace yourself. If I thought the early years were trying and stressful, they couldn’t compare to what we were about to face. My child had a secret life; a life that included private social media accounts, destructive behavior, poor choices and self-harm. In the middle of all this we were looking for resources that would save our child. Which fire do you put out first? Let me tell you, it took nearly two years of loving and talking and listening and reminding for Hunter to emerge. During that time I started blogging…callhimhunter was born. Then, in an effort to make sure that the Leelah Alcorns of the world would get the love they deserved, I created Ally Moms. This group of moms around the nation offers trans* kids (and parents) love on the other end of the phone. Ally Moms gives kids the ability to text or talk to a friendly, understanding mom. Meanwhile, still looking for the right resources to allow my son to emerge, we founded Stand with Trans, a non-profit dedicated to providing tools so transgender youth will be empowered and confident to live their authentic life. WHEW. Admittedly, there were days when Hunter thought too much of our discussions focused on trans everything. He just wanted to be a kid. Who could blame him? But then we hit a turning point. We decided to share our story publicly. Hunter was teaching our community what it meant to be transgender. We were showing families how to love and accept and navigate this crazy journey. The more we shared, the more confident Hunter became. Because there was no shame attached to being transgender, Hunter was free to be himself. There was no more hiding. He didn’t need secret accounts and hidden behaviors. Being a parent is a choice. You cannot, however, choose your child’s personality, I.Q., hair or eye color or temperament. You get what you get. Then you start making choices regarding how you are going to support that unique individual you’ll spend a lifetime parenting. This is about unconditional love. My kids know that I don’t always like what they do or say, but I will ALWAYS love them…every minute of every day. That kind of love gets you through a lot. My son, Hunter, is an incredible young man. He is witty and kind and creative. He is insightful, loving and loyal. He is handsome, smart and charming. His smile is a mega-watt, light up the neighborhood expression of authenticity. He is open and honest and inspired. So, while life is far from perfect, it is a far cry from where we started. I am so proud of my (transgender) son and in love with who he is becoming, I find it hard to dwell on the past and what was. Hunter is a much better version of this youngest child of mine. Olivia is certainly part of our past but Hunter is part of our future.